There are a lot of nice desktops out there to choose from these days, but none are quite like the Acer Aspire TC TC-780-UR19 .This machine is designed for those who want to be creative. It’s powered by an Intel Core i7 processor and comes with 7 USB ports. The HDMI output allows users to connect the tower to an HDTV or HD monitor for the full high-definition experience. The system is easy to setup with its sleek, uniform design and 300-W power supply. It already has Windows 10 Home Edition (64-bit) installed. The black chassis allows for the tower to add style to any home or office decor. It is both functional and classy. Additional storage drives can be added as the expansion bay is ready to go. The hard drive included with the starting configuration is a 1TB serial ATA / 300. There is also a third slot, which is occupied by the optical drive. It’s a DVD writer that supports media such as the standard DVD, +/- DVD Rs, and +/- DVD RWs. A 1TB SATA is enough for most users, but some will need more storage. The graphics in the starting configuration are Intel HD 630 integrated. However, some users choose to install a dedicated video card for extra power and performance. There is 16GB of standard DDR4 SDRAM memory and 16GB more can be added for a maximum of 32GB. 16GB is enough for most users, but 32GB is a good choice for those who want as much speed as possible out of the Acer Aspire TC TC-780-UR19. There are a total of two expansion slots including one PCI Express x1 and one PC Express x16. Gigabit Ethernet offers LAN capabilities. For Wi-Fi, Wireless LAN IEEE 802.11 is built-in, along with Bluetooth 4.0 technology. The Intel Core i7 processor is a quad-core 7700 model capable of 64-bit processing. It can achieve a speed of up to 3.60GHz. This powerful, fast CPU makes the machine a great choice as an excellent, all-around PC for anyone who wants to enjoy videos and audio streaming. Just how big is it? Measuring 15.7-inches in height, 6.9-inches in width, and 17.4-inches in depth, the Aspire TC tower has enough room for expansion. Its sleek black finish gives it a commanding presence. It’s not a boring looking desktop like many others out there. There are a lot of Acer Aspire TC TC-780-UR19 reviews praising the computer for its easy setup, expandability, good port selection, stability, and speed. 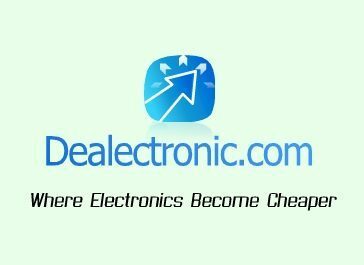 Be a savvy computer shopper and use Acer promotional codes on your next purchase. There’s no need to wait to invest in this great desktop. You can get it an affordable price right now – just grab yourself an Acer Aspire TC TC-780-UR19 coupon! 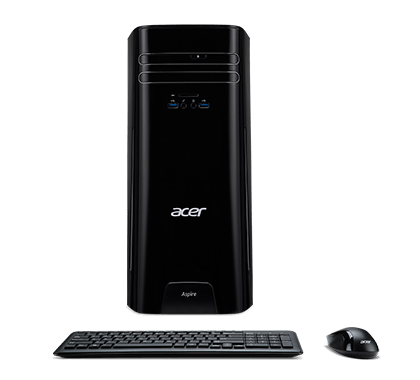 Posted in Acer Desktop Reviews, Acer PC Reviews, Desktop Reviews and tagged acer, acer aspire tc tc-780-ur19, acer desktop, desktop.